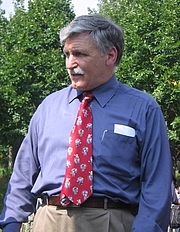 Roméo Dallaire has 1 media appearance. Join fellow readers the last Friday of every month, 12 noon, for our lively discussion about books, movies, culture, current events and anything else that pops up for discussion. Lots of fun and everyone welcome. The next meeting will occur on February 27. It's a double-header of serious subjects, firstly with EPL's upcoming guest Lt. Gen Roméo Dallaire and his account of the Rwandan genocide, Shake Hands With the Devil. We will then try to top this with nothing less than the nature of reality itself with the irrepressible Richard Dawkin's The Magic of Reality. Romeo Dallaire discusses Dealing with Contemporary Genocide. Roméo A. Dallaire, a lieutenant general, who commanded the United Nations mission in Rwanda in 1994, will speak at the James A. Baker III Institute for Public Policy March 25. His speech, titled "Dealing with Contemporary Genocide," begins at 7 p.m. The cases of mass murder from the 20th century into the 21st century have prompted a debate on the need for an effective system to prevent genocide. Dallaire will address that debate in his speech. Before assuming the post in Rwanda, Dallaire, a highly decorated artilleryman, served in the Canadian Army in a series of increasingly demanding command, staff and training appointments. As the political situation in Rwanda deteriorated, he warned of a possible mass murder of the Tutsi minority by Hutu extremists. He witnessed unspeakable horrors and worked tirelessly to save lives as the United Nations Security Council withdrew nearly all his troops. Dallaire retired from the Canadian Armed Forces in 2000 with the rank of lieutenant general and has received several awards for his service. He is currently a fellow at the Carr Center for Human Rights Policy and Kennedy School of Government at Harvard University. In 2002 he was invested in the Order of Canada, one of Canada's highest honors. Dallaire presently sits in the Canadian Senate as a member of the Liberal Party of Canada. His internationally recognized book, "Shake Hands with the Devil -- The Failure of Humanity in Rwanda," has garnered numerous international literary awards and was the basis for a full-length feature film “Shake Hands with the Devil,” released in 2007. The March 25 event is sponsored by the Baker Institute and the Holocaust Museum of Houston. The Baker Institute's sponsorship of this event was made possible through the support of the Shell Oil Company and the Shell Distinguished Lecture Series. Roméo Dallaire is currently considered a "single author." If one or more works are by a distinct, homonymous authors, go ahead and split the author. Roméo Dallaire is composed of 12 names. You can examine and separate out names.